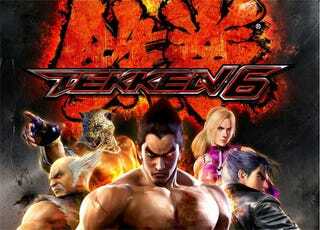 The King of Iron Fist Tournament returns for another round of furious fighting action in Tekken 6, the first multi-platform game in the franchise's history. Not only is this the first Tekken game appearing on a console that doesn't have Sony in the front of its name, it's also the first Tekken game to ship with online multiplayer built right in. On top of all of that, the game features 42 different characters - the largest roster ever seen in a Tekken game. With all of these big numbers and firsts going down, you'd think there was no way Namco Bandai's latest fighter could fail. Then again, odds are you aren't one of the assembled game critics. These guys are. Tekken 6's netcode will disappoint online players. Online matches persistently run below optimal conditions, even if your opponent lives close to your area. The netcode isn't as bad as, say, The King of Fighters 12, but it's not even close to other recently released fighters (Blazblue and Street Fighter 4). It's shame that Namco didn't put more resources and development time into optimizing Tekken's online component, because Tekken 6 is an excellent fighting game. The core mechanics sit on a solid foundation, emphasizing movement on the X and Z-axis, close-range fighting, mix-up games involving a high-low-throw system (high and mid attacks must be blocked high; low attacks blocked low; throws are unblockable) and frame traps based on a move's speed and recovery. Even series veterans may find Tekken 6's jam-packed character selection screen a little overwhelming because it's initially tough to identify characters from their small portraits alone. But once you've found your favorites, experienced Tekken players will see that the tweaks and changes made to the move sets of returning characters are, for the most part, minor. Most characters get a new attack or two, some stances have been modified, and it seems the damage dealt by some of the more powerful combos in the past have been slightly toned down. Despite this, all of the returning characters feel completely familiar, so you'll never feel like you have to relearn your favorite fighter from scratch. Newcomer Lars is the focus of the new Scenario Campaign mode, which is the weakest aspect of the game. Cutscenes are surprisingly long considering they make little to no sense and feature (surprise!) a spiky-haired protagonist with a case of amnesia. This mode has its own built-in version of arcade mode, featuring CG endings for characters after a few short fights. Going back to the lazy beat ‘em-up levels of Scenario Campaign is rough after a few traditional one-on-one fights, as the colorful and interesting locales of the latter are replaced by the cut-and-paste docks and bland environments of the former. One of the Tekken's biggest draws has always been that its accessibility, regardless of your skill level. Whether it was the first time you've ever played a fighting game or it was just another notch in your extensive fighting-game prowess, you could pick up a controller and get into the action. Things aren't any different in Tekken 6. While the simplicity of the game's controls will keep newcomers from getting frustrated, there's still a surprising amount of depth in the fighting system. Punches, kicks, throws, grabs, blocks…button mashing will only get you so far in Tekken, but to really excel, you're going to need to pick a character and learn all of the nuances of his or her fighting style. Tekken is a game in which you'll live and die by your use of combos. And all of this without a ranged attack anywhere in sight. I'm a big fan of the Tekken franchise, but I really don't care about the single player campaign. All I want is to be able to smack other people around online, at home or in AI-controlled arcade mode. So I can forgive almost all of the issues I pointed out. They're almost entirely about what I think is a completely needless single-player campaign. What I can't forgive, won't endure, is online lag. Let's hope Namco gets right on patching that, because until they do I won't be risking my piddly ranking. Aww, their poor net code.